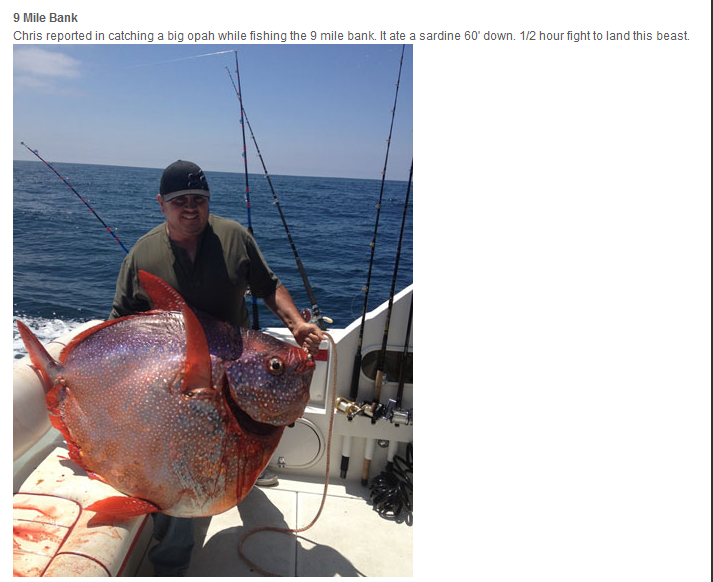 HP Gone Fishing | HP Communications Inc.
9 Mile Bank – Chris reported in catching a big opah while fishing the 9 mile bank. It ate a sardine 60′ down. 1/2 hour fight to land this beast. Learn more about opah at NOAA’s fishwatch.gov.